Make sure the spotlight shines on you with the Missoni Eau de Toilette, a fresh oriental fragrance for women with radiant peony facets. Made for a woman who is as beautiful and vibrant as the breaking of dawn, the Missoni Eau de Toilette will appeal to her magnetic femininity and sensual allure. Fresh, exhilarating and addictive, this head-turning signature scent complements her shimmering silhouette with glowing facets of Nashi pear and pink berries. 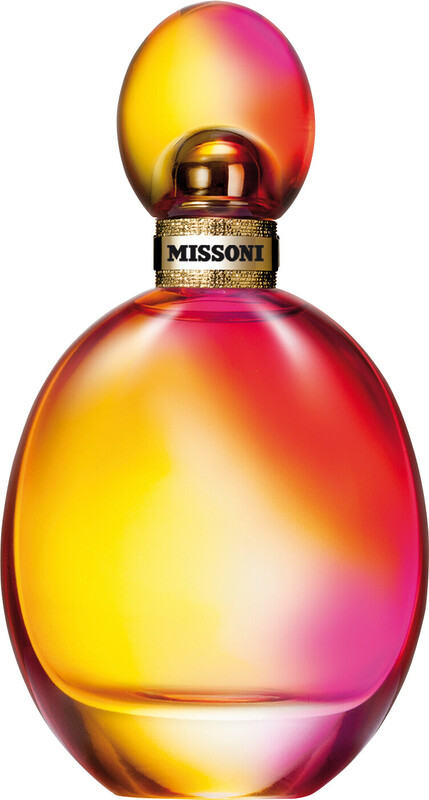 The Missoni Eau de Toilette opens with a burst of bright citrus. The juicy drops of blood orange drip over the elegant rosehip petals, sparking a provocative start to this stunning Eau de Toilette. Flourishing in the core, blooms of peony and freesias toy with the deep, creamy base of musk and white cedarwood.